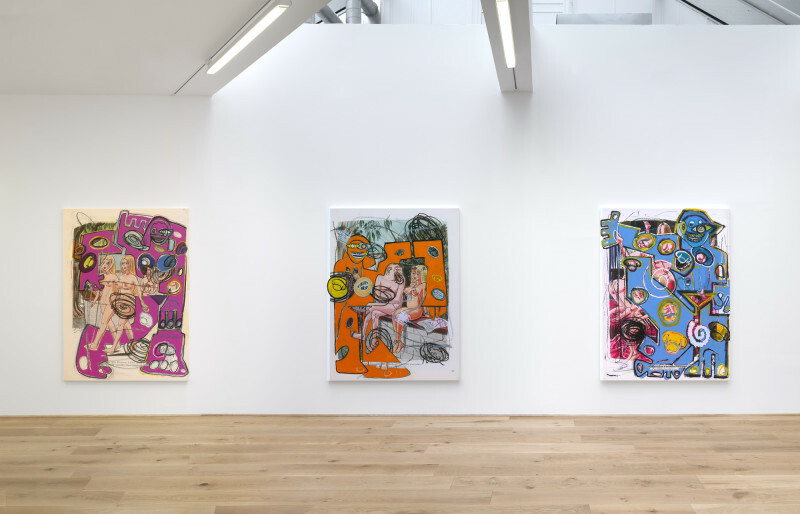 Richard Prince (b. 1949, Panama Canal Zone) emerged in the 1970s as one of the leading exponents of The Pictures Generation – a group of American artists working across photography, film, video and performance to critique mass consumerism and media culture. Renowned for his use of appropriation, Prince has employed various media to cite and subtly parody the visual and verbal clichés of American popular culture throughout his career – whether in the ‘Cowboys’ series, in which he ‘re-photographed’ the mythic cowboy imagery of Marlboro adverts, or in his celebrated ‘Nurse’ paintings: painted portraits of nurses based on the covers of popular pulp fiction novels, which proliferated households and newsstands in the early 20th Century. Through these various mechanisms, Prince exposes and critiques underlying ideological and cultural assumptions, holding up a mirror to American society, whilst simultaneously defining – and progressively redefining – the ever-expanding possibilities for appropriation in art.